Are you confused over which cables and connectors to use with your system? Are there times when the connector at the end of the cable doesn't match the connector on your unit? With just a few cables and adapters from HORITA, you can connect your HORITA units to your equipment and to each other. 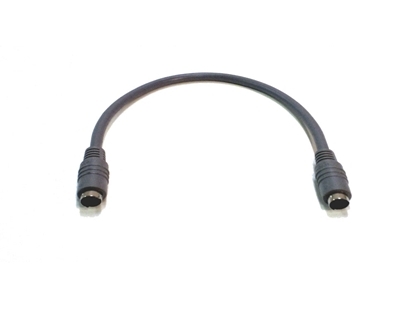 There are several types of standard connectors used in the video and audio industry for connecting video, audio, and time code Ins and Outs. HORITA units use BNC connectors for video and RCA connectors for time code ("S" video connectors are available on special order for some HORITA models). 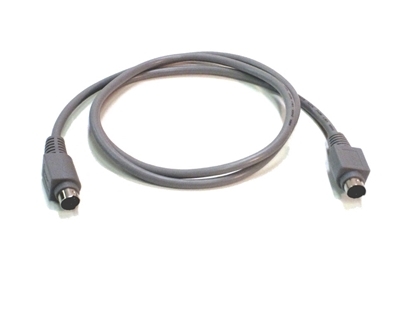 A lot of prosumer and consumer equipment uses RCA connectors for video, audio, and time code. 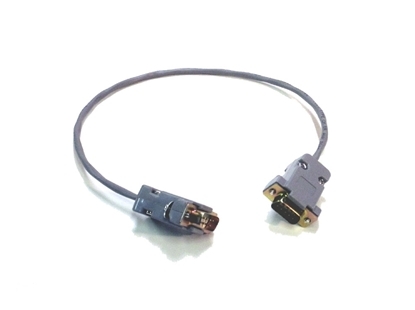 RCA connectors are small, make reliable connections, and are relatively inexpensive. 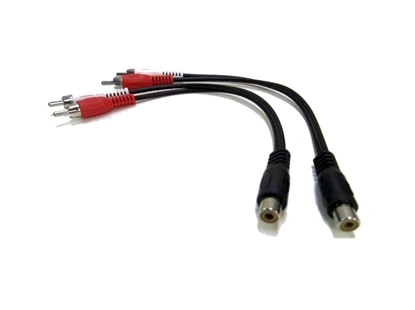 Professional equipment may use BNC connectors for video and time code, and XLR connectors for audio. These connectors are bigger, more rugged, and will not come apart unless manually released. Because HORITA equipment can be used with all models of professional, prosumer, and consumer equipment, there is always a need to adapt the HORITA Ins and Outs to the Ins and Outs of other equipment. HORITA can supply you with high quality, inexpensive adapters and cables for this purpose. 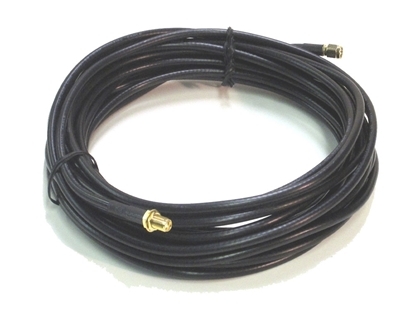 When selecting cables for video, either RCA or BNC coaxial cable types can be used, and either works quite well. BNC cables generally have lower losses, are more rugged, and are most commonly constructed using coaxial cable referred to as RG-58 and RG-59. RG-58 cable is lighter and more flexible that RG-59, but has a little more loss at higher frequencies. The BNC connectors are usually molded onto the cable end. Standard cable lengths are 3', 6', and 12'. Although RG-58/-59 cable is great stuff, it's relatively heavy and may be awkward and more than you need in many situations. Generally, from an electrical standpoint, its not needed for connecting video cable runs under 20 to 25 feet in length. 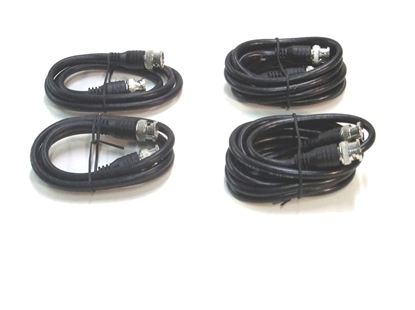 For these situations and for connecting HORITA units together, RCA cabling can be used. There are many grades of RCA cables available, some intended for audio, some for video, and some for both. RCA cables are usually thinner and not as rugged as BNC cables, but for cable lengths under 20 to 25 feet, most RCA cables provide excellent results for both audio and video. At lengths of around 30 to 50 feet, RCA cable can start to show a measurable loss at the higher frequencies, depending on the quality of the cable. 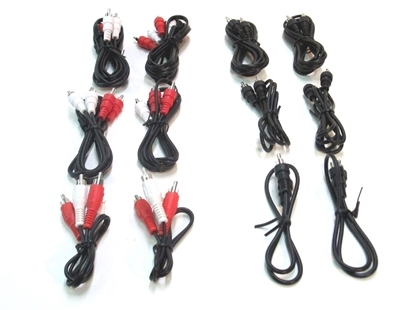 RCA cables usually have molded connectors at the cable ends and the connectors themselves may come with tin plating (standard) or with gold. The gold looks nice, but is really not necessary for a good, reliable connection. 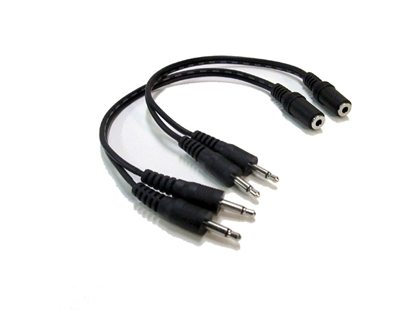 XLR connectors are used for audio and time code IN and OUT on many types of professional video and audio gear. 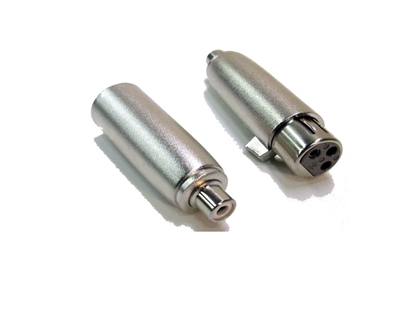 XLR connectors provide "balanced" ins and outs, which are much less susceptible to hum and noise interference that may be introduced from long cable runs to microphones and audio mixers. Except in those situations, "un-balanced" or "single ended" (RCA connector) routing of XLR signals for time code use is more economical and works just fine. There are two general methods of changing balanced XLR signals to unbalanced signals: transformer and direct. The transformer method is much more expensive than the direct method but is usually needed when working with actual audio signals. The direct method is much less expensive because it avoids using a transformer, while still providing excellent operation for time code applications. 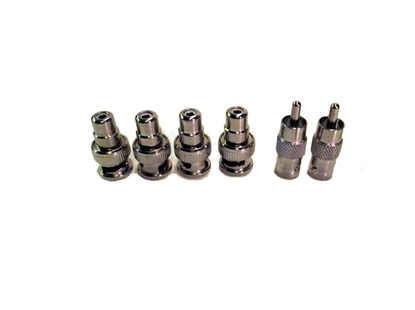 The adapter and cable kits from HORITA, featuring machined adapters and cables with molded connectors, are economical and have been checked out to ensure they provide excellent compatibility and performance when used with your HORITA equipment.